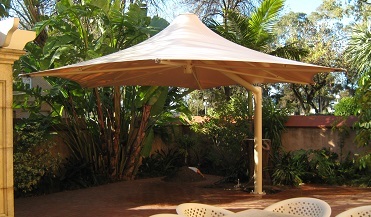 A cantilever umbrella eliminates the centre post providing maximum dining or lounging space beneath. 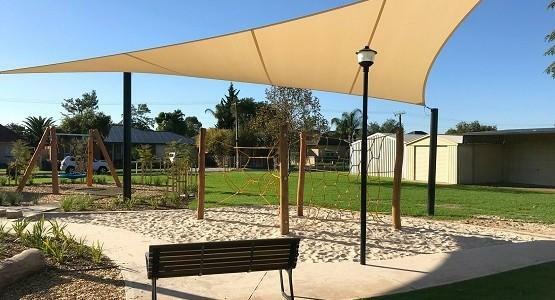 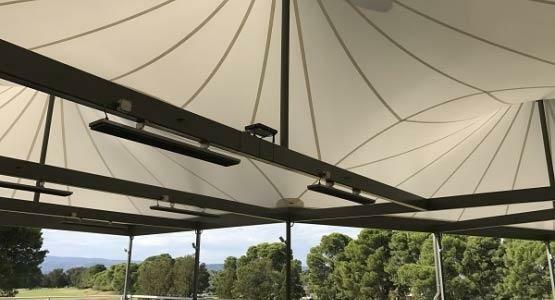 Flexshade® Umbrellas are designed to meet worldwide wind codes, providing structural integrity in the harshest of environments. 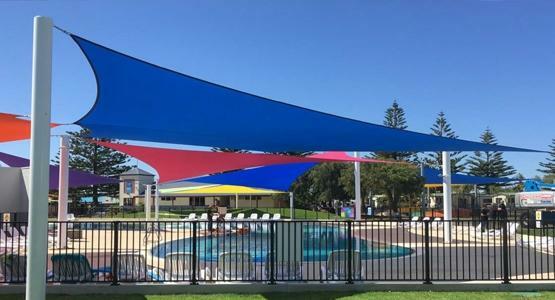 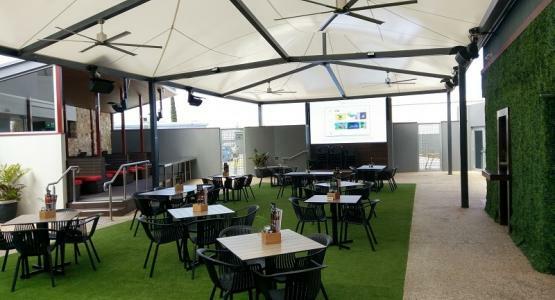 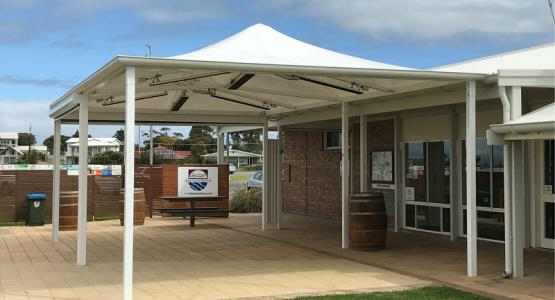 The cantilever umbrellas have an optional pivoting mechanism at the top of the column to increase the weatherproof protection footprint if required. 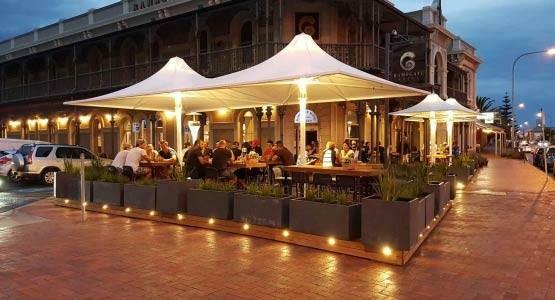 Heaters and lighting can be added for night time use and thermal comfort in the cooler months. 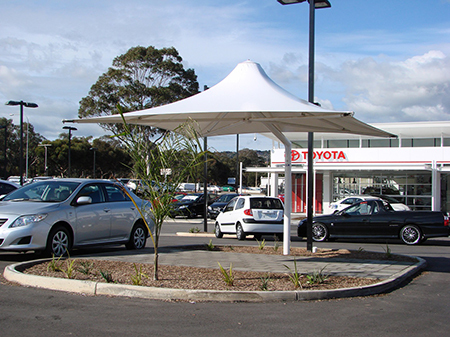 Quartet Square Umbrellas are our most popular and versatile model, suitable for a wide range of applications. 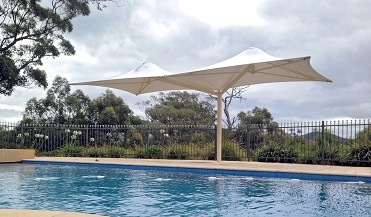 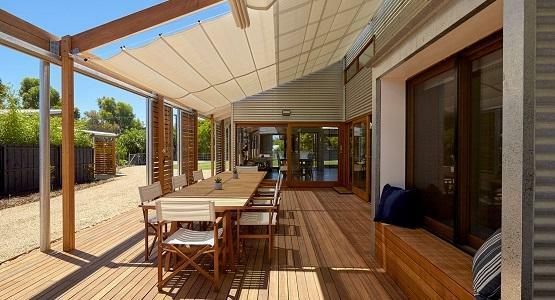 A cantilever umbrella eliminates the centre post providing maximum dining or lounging space. 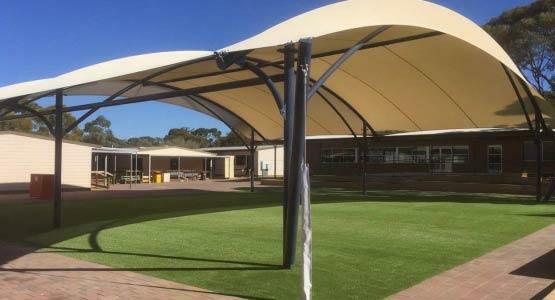 If required, square models can also be linked together to form larger spans with waterproof infill panels. 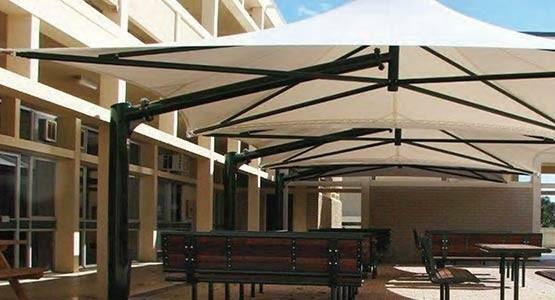 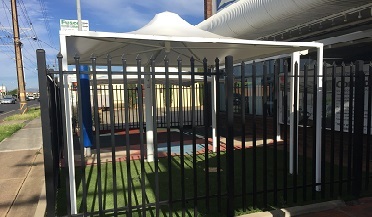 Hexagonal Umbrellas are the ideal design for commercial or domestic applications that require random layouts such as cafe sidewalks, resort pools or public environments. 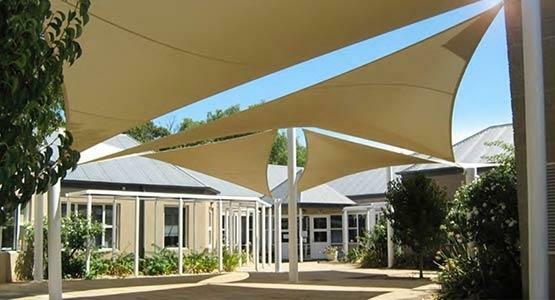 Space beneath the canopy is maximised with the offset cantilevered column.